You may remember my last blog post about the man I kept meeting in the elevator where Stan and I now live. When I’d see this man, my neighbor, he’d never smile. When I had my dog Fred with me, he’d crack a half smile at him, but that was it. Well guess what? His name is Craig. And here’s how I found out. Stan and I were babysitting for his sister’s dog last week while she and her husband were in Iceland. (Fun Fact: Did you know that Iceland is green and Greenland is icy?) Anyway, while they were gone, little Casper would ride the elevator with Fred and I when it was time for their walks. One time, when we boarded the elevator, the-man-who-never-smiled was in there. And guess what? He smiled! He also spoke! He said with a chuckle, “So you have two now!” I laughed and told him we were babysitting for the little white dog. By then, it was time to depart the elevator. Casper and her parents are now home together, safe and sound. We smiled, and went on our merry separate ways. So to everyone who commented with your helpful advice, Craig, Fred and I thank you. PS: This month, we’ve got two events to look forward to! This coming Thursday evening, Sept 14 is our next Painting Dinner with Artist & Instructor Susan Roop. On Tuesday evening, Sept 19, we’re doing another Psychic Dinner with Psychic Medium Judy Dingler. Only 8 tix left for Painting and 7 tix left for Psychic. Don’t miss out! Hoping to see you! 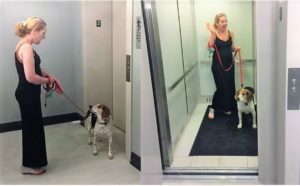 What do People REALLY do in Elevators? I’m guessing you’ve experienced this. As many of you know, my husband and I recently downsized and moved into an apartment. It’s a new community, so our building is only half occupied. That means that I either ride the elevator with him, alone, or with my dog Fred. When it’s just Fred and me in the elevator, the conversation is typically one-sided with me telling him what a good and handsome boy he is and how much I love him. Once in a while, as he and I wait for the elevator to arrive, the doors open, and there’s another rider in there. You can tell who the dog lovers are and aren’t. 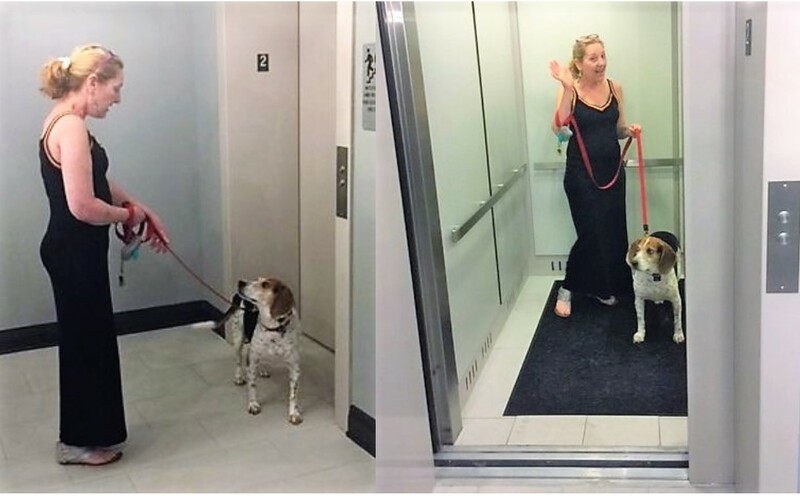 When the doors open and a dog person sees him, he or she will light up. They will tell him what a good and handsome boy he is. Needless to say, Fred is developing quite the ego. When the elevator doors open, and the first thing to cross the threshold is Fred’s nose, the ones who are not dog people will jump back. I feel terrible about this, but Fred needs to take a potty break, so we get in anyway. By the end of the ride, that person is hopefully not still up against the wall on tippy toes. When I enter the elevator alone, either the passenger who’s already inside will strike up a conversation, or I will. It begins with, “which floor are you on?” or “when did you move in?” The Q & A is just long enough to take one of us to our destination floor and say a quick goodbye. But there is one guy who lives in my building who rides the elevator in silence. He doesn’t smile either. He’s silent when I’m alone or with Fred. 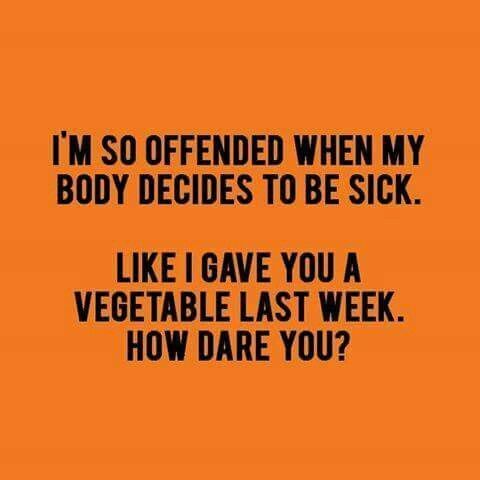 It’s uncomfortable. And though I am a social person, I can’t seem to bring myself to strike up a conversation with him, making the trip up or down even more awkward. So I am asking you for your help. What would you say to this man if you were to get onto the elevator with him? What have you said when you’ve ridden elevators with others? Please use the Comment section below. Your responses will really help me out! PS: We bid a sad farewell to Jules Thin Crust. They will soon be closing. We are looking forward to partying at our next destination, The Silver Diner. All the details are here. As many of you know, we moved about two weeks ago, so we’re still feeling our way around our new neighborhood and the surrounding area. That means getting comfortable with a new grocery store, pharmacy and PetSmart. Here we were on our first day in our new home, and our daughter Jardin came down with the flu. She stuck it out for several days, allowing it to run its course. But when it became apparent that that wasn’t happening, she visited the doctor who gave her a prescription. Several days later, she still wasn’t herself, so she called the doc who gave her a list of OTC items to take—one for her cough, one for her congestion, and on and on. I got to our new pharmacy after 9 PM, and couldn’t figure out why I wasn’t finding the decongestant he recommended. I was told that it has to be purchased from the pharmacist, but the pharmacy counter was now closed. In desperation, I started searching the aisles, trying to find something—anything!—that would bring my kid some relief! And then I spotted it. Vicks VapoRubTM. Remember Vicks? That pearlescent goo in the blue jar that your mom rubbed on your chest when you were sick? So I picked up the box, read it, and there it was—all of her symptoms, and all of them addressed by Vicks. And the best part—it’s made from all natural stuff. 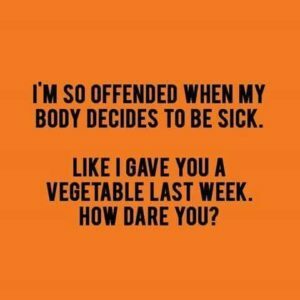 So instead of bringing home an armload of medicines, I was hopeful we could take a step back in time with one of those time-tested natural remedies. Sure enough, it helped her cough, congestion, aches and probably some other things I wasn’t even aware of. And that’s just what she can do with one oil! Personally, I have always been fascinated with Aromatherapy, and relied on it for nausea when I was pregnant. This modality is an all-natural way to relieve distress—both physical and emotional—and all these years later, I still trust and use it. What are your favorite tried-and-true all-natural remedies? I would love to hear about them, so please be sure to comment below. PS: Want to meet Essential Lightworker Bridget Papagno as well as Psychic Medium Marie Gilbert for short private readings? Join us on August 10 at Aenigma Jewelry in Collingswood! Click here for more details. PPS: Click here to find out how to win 2 $40 gift certificates for you and your BFF from Lindsay Radziak of the Pampered Chef. 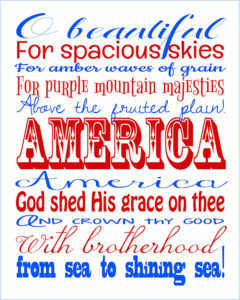 I love America with all my heart, and consider myself very patriotic. I am indebted to my grandparents who came and settled here because of the freedom and beauty we enjoy. The freedom that our veterans—then and now—have secured for us. And the freedoms that many living in other countries, are profoundly lacking. I am grateful for my liberty every day, but on the 4th of July, I am even more grateful because I get a sense that we’re all in it together. That wherever you go, you see flags; red, white and blue banners, and decorations. It truly makes my heart swell. I was a patriotic child, too. But I experienced dread and extreme discomfort surrounding the 4th of July. The discomfort was never based in disloyalty, but in fear. My parents always took my sister Molly and I to the fireworks on Independence Day, and every year, my trepidation grew. The noises scared me badly, especially when the booms would pound through my body. I was also frightened by the large crowds. To be perfectly honest, I could never understand what the appeal of the fireworks was. On one 4th of July in particular, already rattled from the evening’s “festivities,” we arrived home, and as I mounted the front steps, a firecracker exploded at my feet. That was it for me. No more fireworks. My family would still go to the fireworks every year, but my parents allowed me to stay safely in the car and watch from the windows with my fingers in my ears. They and my sister were stationed outside the car, guarding me, and enjoying the display. When I was a teen, I’d go with my friends to the fireworks because that’s what you did on the 4th of July. I considered myself lucky that the explosives were launched after dark—and that my friends were mesmerized by what they were watching in the sky. It meant they weren’t paying attention to me, knees tightly locked to my chest, and fingers in my ears. What was it about those damned fireworks that everyone loved so much? 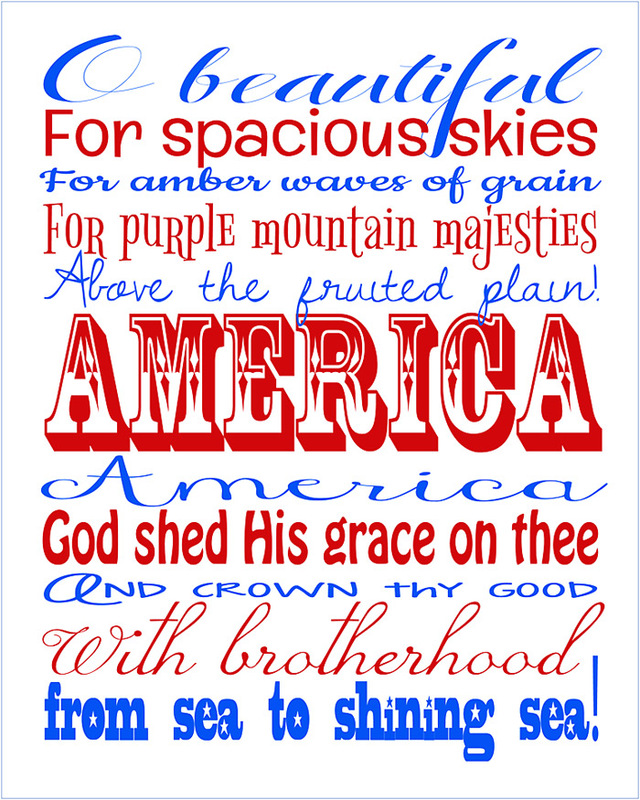 Every year, I dreaded the 4th of July. Then I met this really nice guy named Stan who eventually became my husband. God truly does work in mysterious ways, because Stan LOVES the 4th of July more than anyone I know, and more than any other holiday. He LIVES for fireworks. His birthday is July 7, and he considers the 4th his own personal kickoff day. Case in point, back in the early 70s, his family lived in California where the sale of fireworks were legal. His fondest memory of his Bar Mitzvah is that his parents purchased and set off fireworks to celebrate. So there I was again, going to see the fireworks on the 4th of July, while everyone was in the best mood, and I was freaked out (but had to appear as if I was holding it all together). While we were watching, my fingers firmly in my ears, Stan would shout out to me what he was seeing. He told me about the reds, the purples and the blues and the yellows that he was seeing. I found that to be fascinating! He really saw all those colors? I finally understood. People go to fireworks to see the beautiful colors, in addition to the formations, in the sky. As a woman who was born colorblind, I never realized that fireworks were colorful. NOW it all made sense. That’s why the people who come, put up with the noise and the crowds. After that night, I gave myself permission to never have to go to a fireworks display again. Ever. And now, no matter how or where we celebrate the 4th of July, it is my pleasure to hustle everyone out of my house (or hustle home if I’m at someone else’s house) and watch Stan and whomever accompanies him, go off to see the fireworks. I crank up the air conditioning, scoop the ice cream, turn on the TV, and snuggle with my pets. It is my personal time and I get to do whatever I want. And most importantly, I don’t have to be subjected to deafening noises and celebratory crowds. And now, I’m not just in awe of this holiday, I finally can say that I love it. PS: What’s your favorite holiday, and why? Is there a holiday you don’t like? I’d love to hear about it, so please comment below. 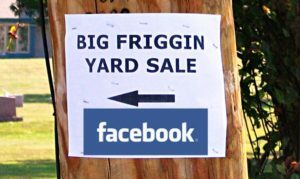 Just when I thought I’d learned everything I could possibly learn from selling my stuff on Facebook…I ended up learning more. 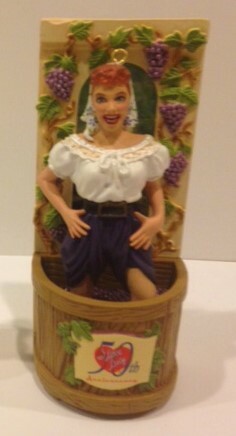 To get you up to speed, my hubby Stan and I are downsizing and moving to a lovely apartment community. But we don’t want to shoehorn our stuff into our brand new place. So we’re donating some of it; and selling some of it on Craig’s List (Stan’s job) and some of it on Facebook (my job). Some people have been searching for YEARS for something that’s been collecting dust in your home. Someone came to my home for purposes other than buying my stuff. 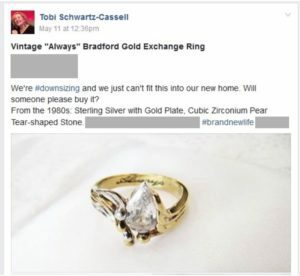 She spotted an item and asked if it was for sale. 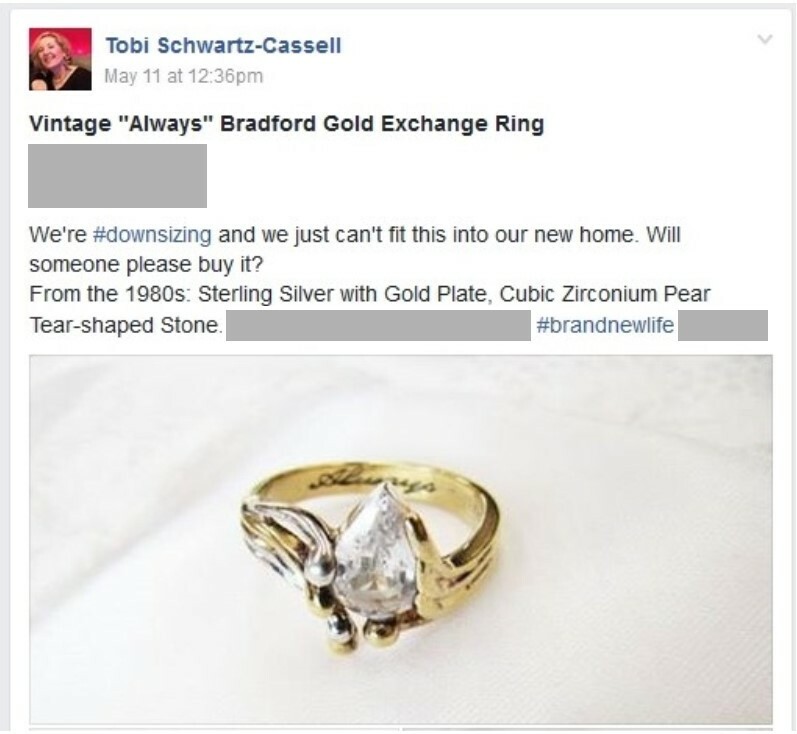 I said yes, and she was delighted because she’d been searching for this discontinued piece for ten years! Boy, was SHE happy. And so was I. Some items can lie dead in the water while others can create a major frenzy. Who would have thought my set of Mikasa dishes could generate well over 20 requests? Buyers want something, but not necessarily for the reasons you’d think. Remember the aforementioned Mikasa dishes? It’s service for 16, complete with hostess pieces. Yet the person who purchased the entire set only wanted it for the cups, saucers and dessert plates. I just found that to be really interesting! People ask the most surprising questions. A woman was inquiring about our large wrap-around sectional sofa with built-in recliners and queen foldout. She asked if we’d deliver. When mama’s gotta have it, she’s gotta have it. One mother of 5 packed up the kids and high-tailed it here, to purchase an item. She begged me to mark the item ‘SOLD’ on Facebook while she was on her way. (Spoiler alert: Here’s where my Bad Assery begins.) I had already learned that you don’t mark anything ‘SOLD’ until it’s sold. So to make sure she got here in time, she kept me posted on her whereabouts, texting me every time she turned onto the next road. I begged her to be careful and to stop texting me because she had her kids in the car! She finally got here, took a look and…you guessed it, declined. Some people are downright mean. I’ll be the first to admit that I’m human, and I make mistakes. And as a newbie selling stuff on Facebook, I’m learning the rules of the road as I go along. A woman, we’ll call her Henrietta, had the misfortune of encountering me at the very beginning of my journey. Here’s my crime: I forgot that on the Saturday of Memorial Day Weekend, I’d promised Henrietta that she could pick up a $5 candle holder on the Tuesday after Memorial Day Weekend. On Tuesday, she sent me a Facebook PM, asking when she could pick up her $5 candle holder. I apologized profusely, telling her I’d made a mistake and sold it to someone else, just the day before. That woman chastised me, berated me and reminded me that I am a business owner in the community so I’d better watch my step. That last one was creepy because it meant she’d “looked me up.” I was extremely distressed, and asked her what I could do to make it up to her. Her request was absurd. Next thing you know, a Facebook Friend spotted this person badmouthing me on that Facebook yard sale site! I wasn’t tagged correctly, so I would never have known about it were it not for my Facebook Friend. Henrietta had posted her poison on two different places on that site, and people started ganging up on me! All for a $5 candle holder! My Facebook Friend and other friends who saw it, gave me equal time with their lovely comments, and one of them had the presence of mind to tag the admins, who promptly took down the offending posts. Will this incident stop me from continuing to post our stuff on Facebook yard sale sites? Hell no! And here’s the happy ending: the gentleman who actually purchased that $5 candle holder did so for his 20-something, profoundly disabled daughter. They are moving into a new apartment together so he can properly care for her. I am grateful that my candle holder will help brighten their new home. And before we’d let him leave, Stan and I put together some items we hoped his daughter might enjoy. As the man reached into his pocket, we said no. Because you can’t put a price tag on how it feels to make someone else smile. 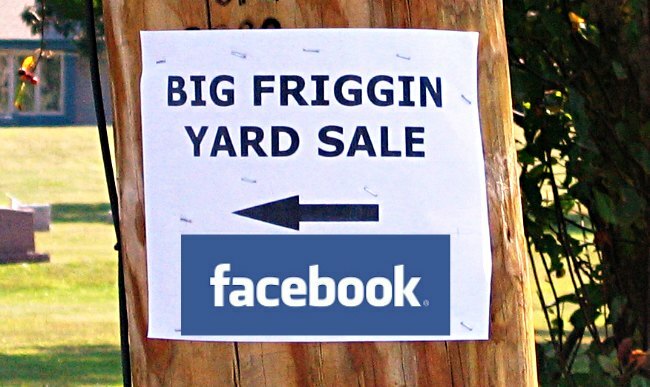 PS: I’d love to hear about your Facebook online yard sale adventures! Please post them in the comment section below. PPS: Speaking of Facebook, click here to find out how to win gift certificates from Kris Cornog of Tastefully Simple! We’re downsizing and we just can’t fit this in our new home. Right now, my project is to go through our stuff, pretending it all belongs to someone other than us (so I can easily part with it), and guessing whether it might be of value to someone other than us. Then, I post it all on Facebook. Some people will come to your house to buy something for 5 bucks, just to get a glimpse at how other people live. They view that $5 as their price of admission into your home. 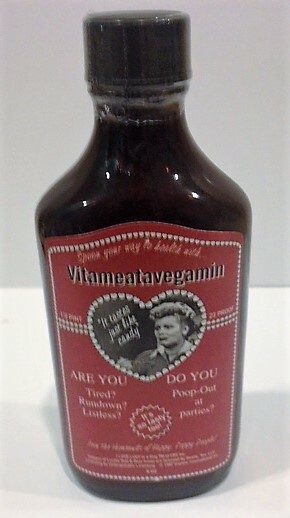 Having posted so many Lucy things, I finally learned how to spell Vitameatavegamin. Some people are very afraid of dogs. Others loved mine so much, they offered to buy him along with that piece of Lenox they originally came for. Some people come from far away, only to take one look and leave, but could have saved themselves the trip had they asked me one simple question. Everybody has a story to tell. And, if you let them, they’ll tell it. One really nice lady spent about 20 minutes here. By the time she left with her merchandise, she’d told my daughter and I about her significant weight loss, her six children, what they’re being punished for, where she works (both jobs) and where she lives. Everybody comes with someone else who never leaves the car. Usually it’s for their protection. But not for one woman who stopped by to purchase some things before taking her son to urgent care. Gotta admit—I would have opted for urgent care first. But if you find the humor in things—certainly not everything, but a lot of things—you might just be able to live through it. PS: Please feel free to comment below. At our April Franks & Beans Event, I had the opportunity to speak with two of our “regulars”—Megan Agnew and Claudia Cream. We chatted about how much easier it is to come to an event alone than many women think. Now a wife, mom and surgical nurse, Megan told us that she started traveling solo when she was in her 20s, right after tragedy struck her life. Heartbroken from the death of her fiancé, Megan decided to get away. She hopped a tour bus to the Baltimore Inner Harbor, and upon departure from the bus, waited in line to get her hotel room assignment. The passenger ahead of Megan seemed to have a complaint about just about everything. 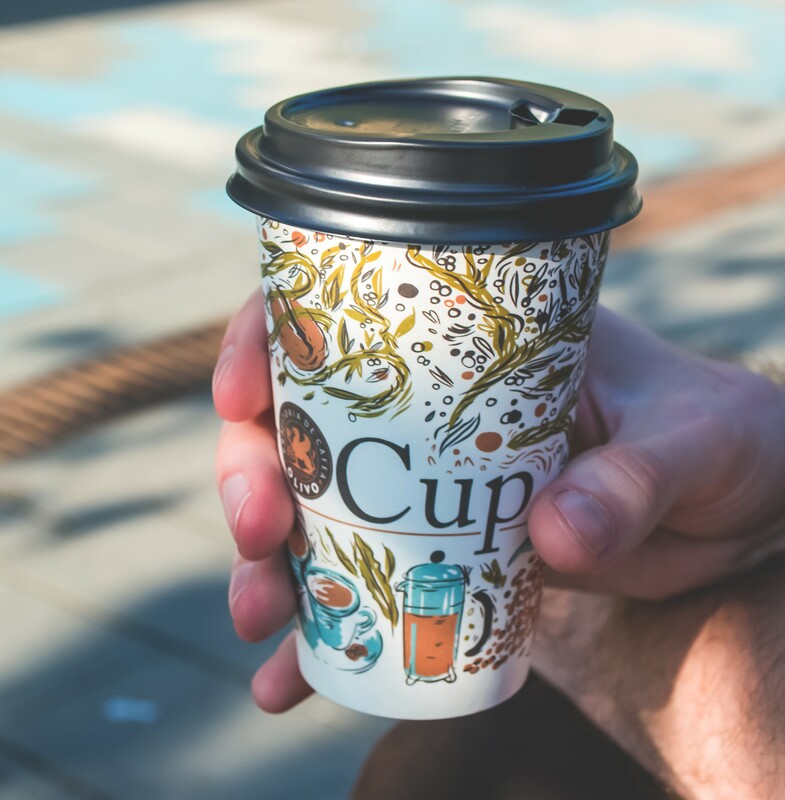 As the weary tour operated politely listened and tried to help, Megan motioned that she was going to give him more time with the complainer, and step out of line for a cup of coffee. By the time she got back, the disgruntled woman was gone, and Megan handed over a second cup of coffee to the tour operator. He was pleasantly surprised and very much appreciated her gesture, especially because of what he’d just been through. He looked on his roster and noticed that Megan had the tiniest room in the hotel. He offered her a suite. Who wouldn’t say yes to that?! Megan accepted and enjoyed the rest of her trip. Back to the present, Megan told Claudia and me that the coffee was merely a gesture because she felt bad for the guy. But to him, it was more than a gesture. It was a bit of grace in an otherwise long and exhausting day. It meant so much to him, that he showed his appreciation in a way that he was able. The coffee was no big deal to her. The suite was no big deal to him. But to each of them, it was a well-needed lift in their respective days. Claudia summed it up perfectly, “It just goes to show you. A little bit of grace goes a long way.” And Megan and I agreed. Question: Have you ever participated in a random act of kindness? Have you ever had one bestowed upon you? Please comment in the section below. Just a couple of months ago, on Jan 29, we got together for the Annual Cassell Family Hanukkah Party. Unconventional? Yes. But in our family it makes perfect sense. This January Hanukkah gathering is entering its third decade, and has its roots in retail. Since several members of the family have or had retail stores through the years, December never worked for us. So we’ve always happily extended our holiday season into the New Year. It’s hosted by my husband Stan’s sister, Debbie Cassell (pronounced “Castle”), and started in her tiny studio apartment in Philadelphia. Back then, there was only one grandchild. This year’s, and many before it, was in Debbie’s large South Jersey home that she shares with her husband, Dan. It’s a good thing, because the family has grown significantly, with great-grandchildren now in the mix. First row, l-r: Dan Soskin, Allan Thompson, Stan Cassell, Gracie Horch. 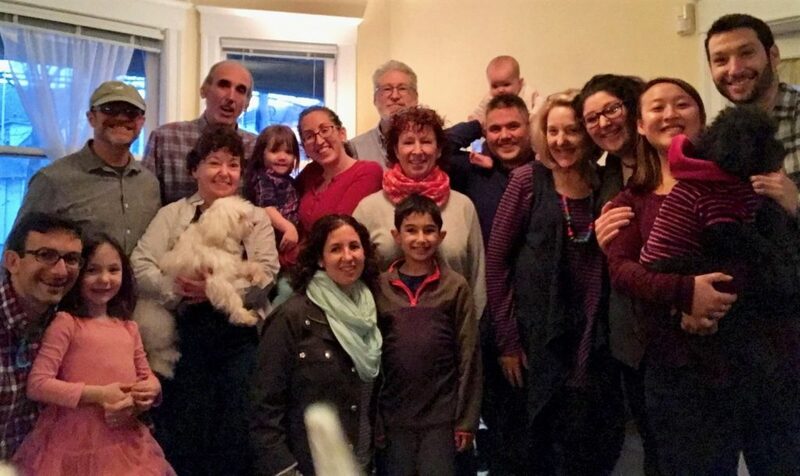 Second row, l-r:, Debbie Cassell (Soskin) holding Casper Cassell (Tillie’s dog), Tessa Horch, Melissa Thompson-Horch, Faye (Cassell) Thompson, Matt Horch, me (Tobi Schwartz-Cassell), Jardin Cassell, Christine Chen and Richard Cassell (holding Shiloh Chen). Third row: David Kenerek, Maddy Kenereck, Stacy Thompson-Kenerek, Sam Kenerek. Fourth row: See that tip of a white tail? That’s our dog, Fred Schwartz-Cassell. Missing: Michael Cassell (youngest Cassell sibling), Courtney (Thompson) & Jon Cousins and their future child. The Cassell matriarch and patriarch were Tillie and Jack. Sadly, both are gone now. But the Hanukkah Party (Tillie’s favorite holiday—Jack’s was Passover) lives on. And on Jan 29, it had a special meaning because Debbie chose a theme—an “All Tillie & Jack Menu.” No brisket and potato pancakes at this one, though. You’ve probably never even heard of most of the dishes that were served that day because Tillie and Jack took pride in their kitchen creativity. These recipes served the family of six through the lean years but also when times finally got better. They were the glue that held them together through 13 moves, spread over 10 different states. With all that moving, the four Cassell kids stopped bothering to make friends because they knew the next move was coming. They just didn’t know when. The Stan Cassell Branch was assigned “Tillie’s Frozen Angel Food Hershey’s Whipped Cream Cake,” which tastes as good as it sounds. 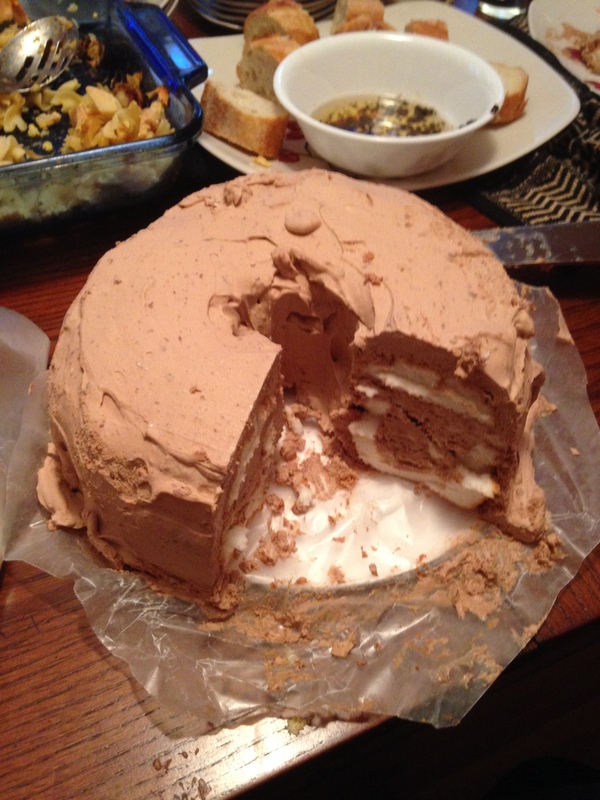 Our daughter Jardin was home from college for the weekend to celebrate, so the night before, she, Stan and I made the cake together. Because there are so many of us now, we made two. Tillie never wrote down her recipe (and we’d never made it before), so relying on Stan & Debbie’s sister Faye’s ratio of ingredients, we got started. Along the way, Stan, Jardin and I reminisced and had a lot of fun. Tillie was there guiding us. No doubt in our minds. And both Tillie and Jack were there with us at that Hanukkah party, just as they are at every Hanukkah (and Passover) celebration. PS: If you’d like any of Tillie & Jack’s recipes, please request them in the comment section below. And/or tell me about your family’s recipes! What were your favorites? There is finally a day where we don’t have to be embarrassed by a little chin hair. Or a root line that used to be solidly brunette but now has some gray strands. Or a little bit more middle-aged middle. Many honor-days like Middle-Aged Ladies’ Day are created by marketers who want to sell everything from peanuts to pickles to Valentines. But not this one. This one was created by me. A middle-aged lady. And guess what? 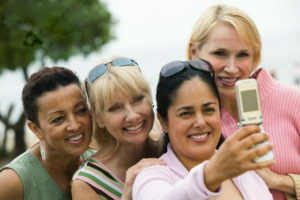 Middle-Aged Ladies’ Day is everyday. Why? Because WE deserve it. 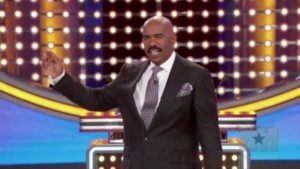 PS: Is there an honor-day you’d like to create? Tell me about it in the comment section below! PPS: Exercise is important, especially for us middle-aged ladies. Click here for a Free 14 Day Pass to Cherry Hill Health and Racquet Club. In the Jewish community, tattoos are taboo. As a member of that community, I never understood why. After all, my father (the “Frank” of Franks & Beans) had Airforce wings tattooed on his inside forearm. Reason: he served proudly as an aerial photographer and staff sergeant in WWII. 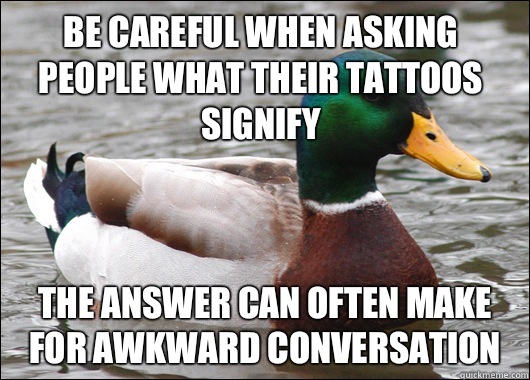 But it’s said that if you bear a tattoo, you can’t be buried in a Jewish cemetery. Yet thankfully, my dad now rests peacefully in one. That makes sense. And, it led me to think that perhaps purposely getting a tattoo might be considered a reminder of the unspeakable atrocities of the Holocaust. During that horrific time, victims were tattooed as a degrading way of identifying them. Those vile revisionists can say whatever they want, but the Holocaust was real, and the inked numbers on victims’ inside wrists are just one piece within an entire body of evidence. Yet despite all this, when my daughter Jardin announced her plan to get a tattoo, I accepted her decision. First, at 20 years old, Jardin is an adult. She works and saved her money to pay for that tattoo, and doesn’t need my permission anymore. But the second reason is something that spoke to my heart. About four years ago, Jardin met a young woman named Vicki who changed her life in a number of positive ways. 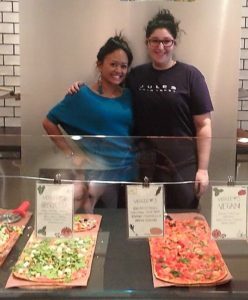 Jardin was Vicki’s most trusted babysitter, and when Vicki was transferred to open the Cherry Hill location of Jules Pizza, Jardin was her first hire. It was Jardin’s first “real” job, and she still works there to this day. Vicki and Jardin became friends and confidants, and the three of us joked that Vicki was Jardin’s “work mom.” I could not have chosen a more beautiful soul to be my daughter’s work mom. Sadly and very suddenly, Vicki passed away. It was about two years ago. And it was devastating, to say the least. Jardin’s dorm room at Rowan University is decorated by posters of rock bands and family pictures. Among them are pictures of Vicki. Jardin chose to get a tattoo as her remembrance to Vicki. So now, she proudly sports a slice of pizza in an innocuous but hidden place (hidden because she plans on becoming a teacher, and can’t have a tattoo that shows). Just under the point of the slice is a bold, stylized “V” for Vicki. A slice of pizza sounds like a trivial tattoo, but the reasons behind it are anything but. And I’m okay with it. PS: Do you have a tattoo? What is it and why did you choose it? Please use the comment section below. PPS: (Sponsored) As always, exercise is important, but especially if you’re trying to shed some December holiday pounds. Click here for a Free 14 Day Pass to Cherry Hill Health and Racquet Club. It’s a new year and everyone likes to eat, so let’s take a look at emerging culinary trends for 2017. Here’s an excerpted edition of the article, “Ten cutting-edge food trends for 2017” by Monica Watrous. The predictions are courtesy of Liz Moskow, culinary director at ad agency Sterling-Rice Group of Colorado. 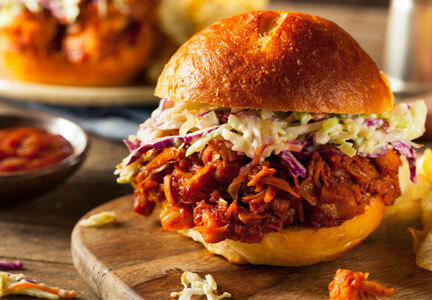 Sterling-Rice specializes in the food industry. 1. 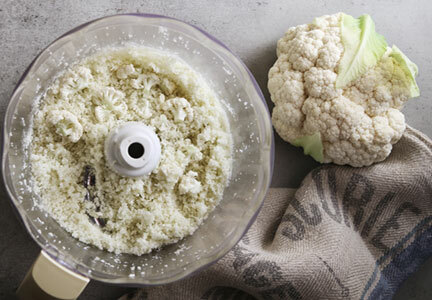 Food waste frenzy: Consumers and companies alike are creatively reducing food waste by repurposing typically tossed-out stems, skins and rinds. A company called Forager Project has identified a use for the wasted pulp from production of cold-pressed juices — by manufacturing organic tortilla chips containing the nutritious byproduct. 2. Plant butchery: Chickpeas, corn, legumes and fungi are standing in for steaks in an emerging crop of butcher shops with products designed to appeal to vegans and carnivores alike. 3. 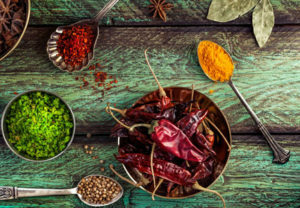 Dosha Dining: The remarkable rise of turmeric as a trending ingredient in recent years has become a gateway to American exploration of Ayurveda. 4. 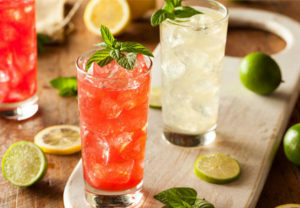 Mocktail mixology: Mocktails are getting a modern makeover, with such offerings featuring fresh-pressed juices, flavored teas, sipping vinegars and muddled herbs and spices. 5. Cook and connect: Likened to businesses like Uber and Airbnb, a new app and web site called EatWith connects home cooks with hungry strangers. What food trends are you predicting for 2017? What do you think of the “Cook and Connect” trend? What do you think of all five trends listed here? Please share your thoughts in the comments below, and Happy New Year! PS: Food is important to your good health. And so is exercise. Click here for a Free 14-Day Club Pass from the Cherry Hill Health and Racquet Club. Are You among the 15%? My son Richard is all grown up. He’s got a career, an apartment in Brooklyn and a smart and beautiful girlfriend whom we love. Best of all, he pays his own bills. But before all of that happened, and even before his sister Jardin was born, he and I had a yearly tradition. We’d go to bed in our clothes on Thanksgiving night, and wake up at 4 AM on Black Friday, brush our teeth and be on our way with our pre-packed breakfast. Black Friday is loved by less than 15%! Let’s go back to the 90s, when Richard and I really had a good time on those Black Fridays. We’d bring the store circulars with us so we could peruse them while waiting in line, and ended up sharing them with our fellow bargain hunters. It felt like we were all in it together, and it really was fun! But it’s all fun and games until someone gets killed, and tragically, that is exactly what happened. On Black Friday, 2008 an employee at a Long Island Wal-Mart died after being trampled in a Black Friday stampede. Four people were injured, including a pregnant woman. And literally overnight, Black Friday’s reputation changed. Either in an attempt at safety, or just for the love of money (probably the latter), this shopping day has now become an industry all its own. What used to fatten up Thanksgiving Day daily newspapers is now also handled electronically with websites like: BestBlackFriday.com, TheBlackFriday.com and bfads.net. If you do the Black Friday thing, be sure to read Consumer Reports’ Top 10 Black Friday Shopping Tips for 2016. But before you do, tell me where you stand on Black Friday. Do you go out with the same family members or friends every year? Do you have a nice warm breakfast at a local diner after you finish up at your first store? Or do you just sit it out at home? Please let me know in the Comments below! PS: Looking for a healthy way to lose weight before the holidays? Try A FREE 14-day trial pass at Cherry Hill Health & Racquet Club! Click here for details. “Name the Model” Shopping Expo Contest! 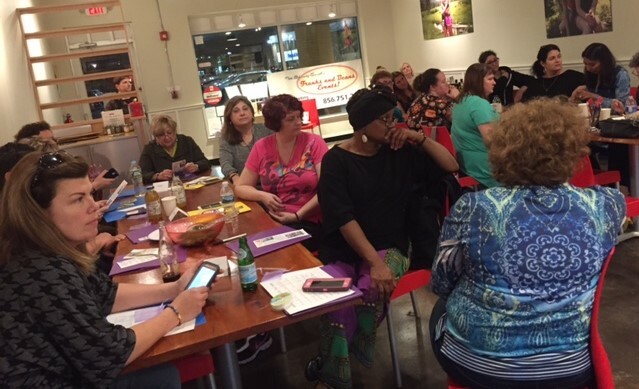 These lovely ladies don’t have names, and they need them by our 2016 Women’s Shopping Expo on Nov 17! So as quickly as you can, please come up with names for Model A and Model B, and put them in a comment below or send them to Tobi@FranksAndBeans.net. Package 1: $25 gift cards from Aenigma Jewelry and Linda Estilow of Tupperware! Package 2: $25 gift cards from Bertha White of Mary Kay and Shelley Licknack of Origami Owl! Be sure to visit Lynda Kane (Aenigma), Linda Estilow (Tupperware), Bertha White (Mary Kay) and Shelley Licknack (Origami Owl) at their vendor tables at our Nov 17 Women’s Expo. Click here for tickets. Please share this contest info–Model A and Model B need names before Nov 17! And thank you to the sponsors of this contest: The Val Nunnenkamp Real Estate Team, Jim Turpin, APG Retirement & Estate Planning Specialist, The Theme Factory of Philadelphia and Center City Photo! Winners will be chosen by the 2016 Women’s Expo Committee. The Franks & Beans staff, members of the committee and their families are not eligible to win. We all have a favorite. Who’s yours? Is it the sultry Carly Simon? The romantic yet environmentally responsible Joni Mitchell? Or the prolific and “how does she know what I’m thinking?” Carole King? I love ALL of King’s music on ALL of her albums. I didn’t just buy in a forward direction (1971’s Music, 1972’s Rhymes & Reasons, 1973’s Fantasy, 1974’s Wrap Around Joy…. ), but I also bought backward (King’s pre-Tapestry album Writer, and 45s of her hits from The Brill Building). And with every new album I bought, I loved her even more. 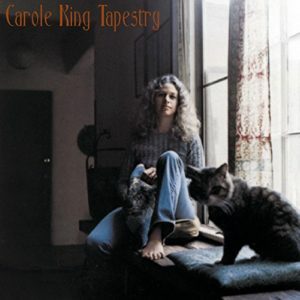 Carole King comforted me after break-ups, energized me while folding laundry, inspired me when I had to write a boring paper, and lifted me when I finally got my driver’s license and could take to the highway with the windows rolled down and my long brown hair waving out the driver’s side. I’m listening to “Sweet Seasons” right now! I relate to her and Gerry Goffin’s lyrics, and was and still am even more moved by her melodies and mind-blowing arrangements. So in 2008, just before the book “Girls Like Me” was released, I contacted Atria Publishers to get a review copy. I read it—devoured it, really. Then I asked for an interview with its author for Girlfriendz Magazine, which I was publishing at the time. They said yes! SHE said yes! And it turned out to be one of my very favorite interviews for Girlfriendz. I never forgot how kind and giving Sheila Weller was during our talk, nor the depths of her research for her books and magazine articles. I truly never forgot about that, which is why 8 years later, it was Sheila Weller who I wanted to shine the spotlight on at my long-awaited Women’s Expo—an expo I have wanted to produce since 2010. So yes, this is a pitch for my 2016 Women’s Expo on Nov 17! And can you blame me? I have been waiting for this for a very long time! So please join us! My remarkable team and I have been working on this since January to make it a truly enjoyable night with lots of fun (and delicious) surprises! Click here now to get your tickets. Only $10, but the price goes up on Nov 7. It’s the ultimate Girls’ Night Out! Come and buy Sheila’s books and she’ll sign them for you! And bring your significant other, armed with your Wish List because we’re featuring a Boutique Marketplace with more than 45 vendors. PS: Vote in the comment section below for your favorite: Carole King, Carly Simon or Joni Mitchell. And tell me why. It’ll be a lot less stressful than the upcoming vote on Nov 8. And PLEASE vote on Nov 8. PPS: Looking for a healthy way to lose weight before the holidays? Try A FREE 14-day trial pass at Cherry Hill Health & Racquet Club! Click here for details. I am different because I am colorblind. Only one in 200 women are. It’s a family thing, so my sister and cousin are, my nephew and son are, and our dad, grandfathers and some uncles were. Plus, as our family grows, I’m sure there will soon be many little colorblind kids running around at holiday dinners. No, I’m just joking. My relatives and I are okay with it. We know it’s an amusing party game for those of you with normal color vision. There are so many of us in our family, that when we get together, those who are colorblind outnumber those who are not. It’s kind of crazy, but if I had to choose between that and hemophilia—the genetic disorder that is passed down in the same way—well, you know which I’d choose. My deficiency is something you can’t see when you look at me. Unless we meet up and I’m wearing something mismatched. So if that ever happens, you’ll understand why. Or if you tell me, “Look at that redhead in the green sweater,” and I stare back at you blankly, you’ll understand why. But now there is help! And I’m not talking about the gazillion dollar glasses to correct colorblindness. I’m talking about free apps that anyone with a smartphone can access to help with makeup and clothing matching! Any other colorblind women out there? Please comment if you are, or if you have a funny story about a colorblind man or woman you know. PS: Looking for a healthy way to lose weight before the holidays? Try A FREE 30-day fitness study at Cherry Hill Health & Racquet Club! It includes personalized fitness assessments and group training with South Jersey’s finest fitness consultants. Click here for more info. Registration ends 9/30, only 50 slots available! Do you face this dilemma? And we’re not alone. The average American woman has 103 items of clothing in her closet—more than enough to put together outfits for any occasion—but she considers 21% to be “unwearable,” 33% to be too tight and 24% too loose. The info comes from a recent survey of 1,000 US women commissioned by ClosetMaid, a leading provider of home storage and organization. And that’s not all! Twelve-percent of her wardrobe is comprised of new, unworn clothing, leaving just 10% available. And 10% isn’t much of a selection. Of those surveyed, 10% say they feel depressed when they open their closet, and 47% admit they struggle to pick out an outfit before heading to work. One in four confess that her clothes storage space is completely disorganized, and when faced with it, over 60% opt to buy new clothing. And, shhh, one in six will sneak an item out of the dirty laundry. Find the colors that compliment you. 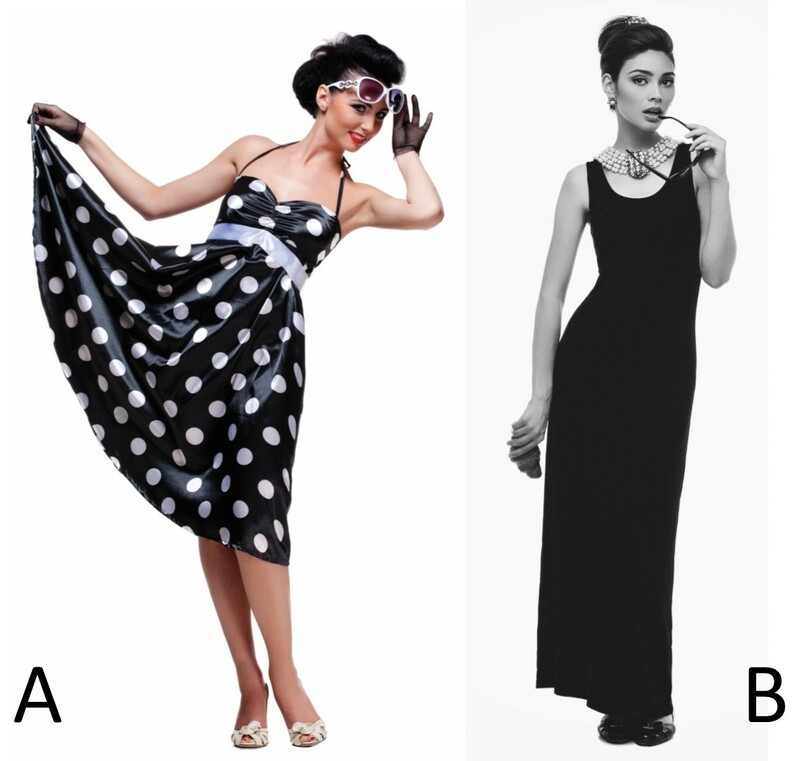 Black and white solids are great staples, but don’t be afraid of a color that suits you. I myself lean towards aqua, red, or purple. Solids are great, including color blocks (two different solids worn together). They’re perfect for accentuating a fun pattern. Don’t be afraid to pattern-match. It’s fun and, when done correctly, creates a great conversation starter. Experiment with the many ways you can wear one piece of clothing. That cute form-fitting skirt might also be a great top or even an infinity scarf. The LuLaRoe “Cassie” skirt can do all of that, but she recommends you also test out pieces you already own. Experiment with the staples. Be daring and pull the waistband of a skirt up to your ribs to create an empire effect! Embrace the belt. Not necessarily around your waist, but higher or lower on your torso. The trick is to do what’s fun, fashionable and above all, comfortable. Ever tried leggings? Do it! But be sure to wear them correctly. Always cover the lady parts with a long shirt or a dress. They’re fun with boots and perfect for fall. When done correctly, they really are a wardrobe must-have. 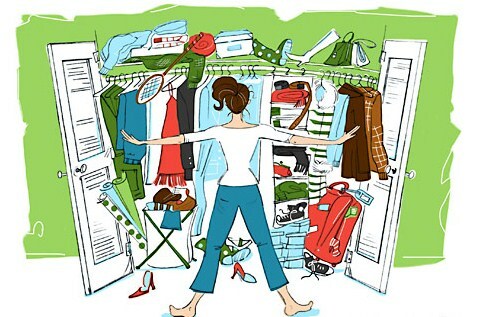 Have you ever had the “bursting clothes closet dilemma?” How did you attack it? Please share in the comments below. Hope to see you soon at one of our events! PS: Want to look better in your clothes? Try A FREE 30-day fitness study at Cherry Hill Health & Racquet Club! It includes personalized fitness assessments and group training with South Jersey’s finest fitness consultants. Click here for more info. Registration ends 9/30, only 50 slots available! PPS: For tips on the dreaded sort-out, check out this blog post from Barbara Berman, Founder and Owner of BB’s Clutter Solutions. Maybe you shouldn’t start a conversation this way. How many times have you been to a party, standing in front of someone, and no words come out? From either of your mouths? Thanks to one of my favorite blogs, PureWow, I now know five things to say to lift the awkwardness. I’m borrowing three of them (with a bonus fourth at the end of this article), and adding my own thoughts. So if you want to see all five plus their explanations, click here. This suggested line is based on the fact that, as a whole, people like to talk about themselves. So if this line doesn’t feel right to you, try asking them what they do, where they’re from, or how they know the party host. As the PureWow article points out, if the party’s on a Monday or Tuesday, you need to change this question to “What did you do over the weekend?” But again, more than likely, this line of questioning will give you a hint about your conversation partner, and that can open up a whole new world of dialogue. So if she’s going to the shore, you can ask her which town is her favorite, what restaurant does she recommend, or does she know of a great bed & breakfast there? This usually works best when standing next to a cheese platter. And granted, it won’t work for everyone. Especially if you’re talking to a person who’s lactose intolerant or vegan. But then again, either of those scenarios opens up another line of questioning. As long as you don’t mind hearing about her GI tract. Probably the best suggestion this article has is a good exit line. What can you say when you are so bored that you just HAVE to break away? Here are some suggestions…. “Forgive me but I REALLY have to go to the bathroom!” Too much information? Yes. A great way to make your escape? Yes! What line do you use to either start a conversation or end one? Please comment below! PS: As many of you know, I’ve partnered with the Cherry Hill Health and Racquet Club. My favorite spot to work out there is the Women-Only Fitness Center. Check it out with your free 14-Day Pass. If you ask people when summer starts, most of them will say June 21. And, of course, they’d be correct. But have you ever noticed that summer starts at different times for different people? It occurred to me recently that summer is more a function of where you are in your life, than it is some date on the calendar. For instance, when you’re in elementary and middle school, summer officially starts on the last day of school, whether that’s before or after June 21. In high school, at least around here, summer begins when your last exam ends, no matter what the last day of school is for everyone else in your district. Then you send your child off to college, and all of a sudden fall comes a whole lot earlier, and summer starts even earlier! Our daughter, who just finished her freshman year in college, started her summer on May 5 this year! Hubby and I recently noticed that, now that we’re emptynesters and not dependent on the public school calendar anymore, if we want to take a vacation, we can do it after Labor Day and save a lot of money! We would never have even thought to do a post-Labor Day vacay in the past! So here we are in July, where it’s summertime for everyone in South Jersey. Air conditioners are at full blast, and you need enough sunblock to cover a lot more skin. But in retail, where composition and spiral bound notebooks are everywhere you look, summer is, sadly, just about over. PS: When does summer start for your family? Comment below! PPS: As many of you know, I’m working out at the Cherry Hill Health and Racquet Club. But did you know that you can sign up for a free Pilates session, or a free 14-Day Pass? 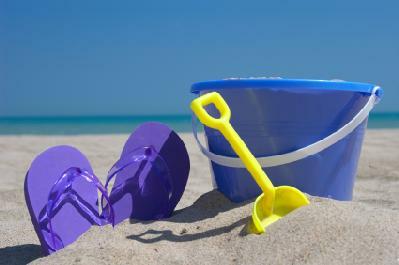 PPPS: Celebrate summer with us on August 4 at our Beachin’ Fun Party! We’ll be at Aenigma Jewelry & Accessories for Angel Card and Intuitive readings (no additional charge for these! ), plus wine, beachy snacks and a $10 Aenigma gift card for every guest! Click here for details. About 10 days ago, I asked you to be honest with me. After hearing from so many women in so many venues over the past year that they wanted me to plan a cooking demonstration, I asked you to tell me why so few tickets sold for the resulting cooking/fundraising event I’d planned. Well…thank you for sharing your reasons! Thank you sooooooooooo much for letting me know what’s on your mind. PS: I had to take a short break from working out at Cherry Hill Health and Raquet Club because, well, I push myself because I want to see results! Those compassionate people at The Club said, “No, no, no! Take a breather then come on back and do only what you can do.” My trainer is modifying my routine, and I can’t wait to get back. They’re the best! If you’re interested in a FREE 10-DAY PASS, don’t waste another moment! Contact Sarah Martin at smartin@chhrc.com or 856.429.1388, ext 135, and tell her Tobi sent you. Did you follow his saga on the Girlfriendz Magazine Facebook page? 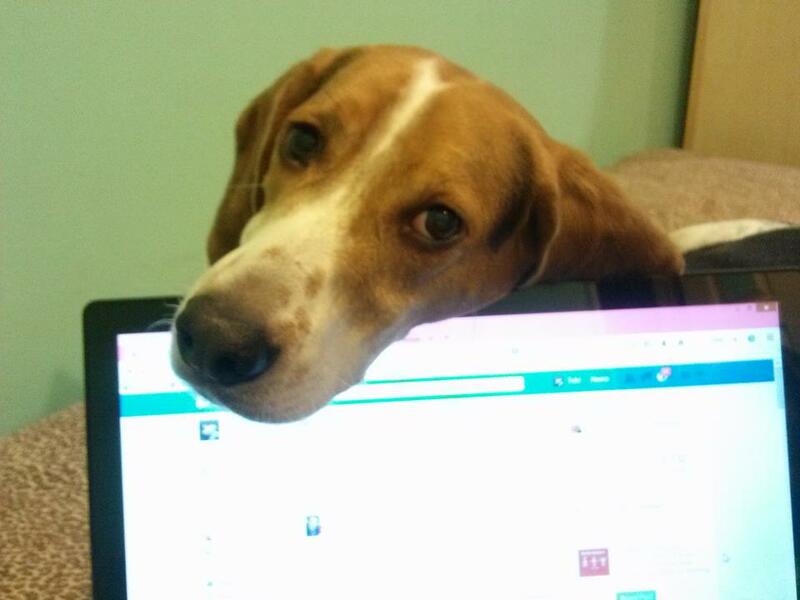 If you didn’t, here it is in a nutshell: The Cassell family adopted a 3-year old Beagle/Foxhound in October 2012. We named him Fred…he ran away…we found him…he underwent emergency surgery that night…and all that took place in just three days. 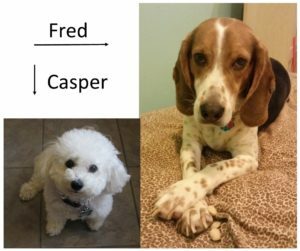 Fred is a dog who is easily frightened. 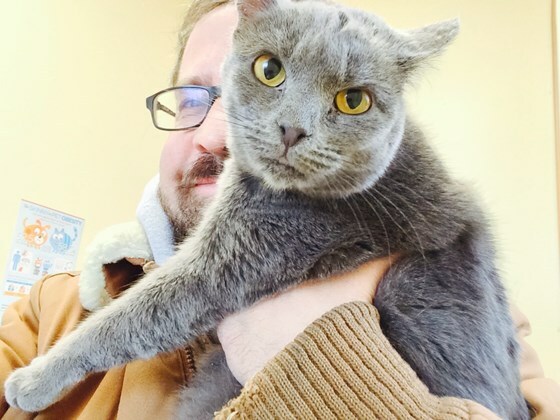 So much so that it led those gentle souls at Lindenwold’s Animal Adoption Center to conclude that he’d probably never lived inside a house, or experienced the love of an owner, or even had a name. I wouldn’t doubt their assessment. The evening we brought him home, he was afraid to walk through our front door. A few nights after we adopted him, we took him out for a ride in the c-a-r to purchase a brand new collar on which to hang his shiny new tags. Fred’s sister, Jazz (who, at the time was 12, but sadly passed away the next year) was a Shepherd/Pit Bull mix who was perfectly comfortable visiting the big pet care store in Marlton. She knew it was the place where she could sniff the other dogs’ butts, down some snacks and choose a new toy. But that’s not how Fred experienced it. Terrified by the automatic doors, he never made it into the store. He did a 180, darted straight through the busy parking lot, miraculously dodged cars as he fled across Route 70, and then dropped out of sight—Jazz’s borrowed harness and leash whipping behind him. Three anguish-filled days later, we found him. He’d been hurt so badly that he needed immediate emergency surgery, antibiotics and painkillers, (and whoever came up with that Elizabethan collar?). But he made it home again and that’s all that matters. LESSON 3: A girl from suburbia (me) can hunt through the thickest woods—several times!—and live to tell the tale. LESSON 4: Once a mystery is solved, mystery still remains. Fred left us wearing Jazz’s harness and leash, and came back wearing neither. LESSON 5: Microchipping your pet is not an option. Do it and do it NOW. LESSON 6: Even non-dog people respond to a lost dog. LESSON 7: Emergency vet services are expensive but worth every penny. LESSON 8: Your family and friends aren’t the only ones who care about you. Your acquaintances and strangers do, too. LESSON 10: Prayer does work. LESSON 11: Miracles do happen. LESSON 12: Bad things happen to good people. LESSON 13: Sometimes, good things happen to them, too. I could go on and on telling stories about family and friends who trolled local neighborhoods (some at the crack of dawn, others well past midnight)…friends and acquaintances who hung flyers…businesses that allowed us to post flyers…previously unknown people who did car searches and Facebook shares and gave us unending support, hope, guidance and strength. But the best story of all is this: all of their efforts culminated in one phone call that changed everything. It was from the microchip company with information from one anonymous woman who led us to Fred. There is no way I could possibly thank her sufficiently, nor every single person who came through for us. I can, however, thank the Animal Adoption Center of Lindenwold, the Animal Welfare Association of Voorhees and all the other animal shelters who helped us get the word out. It’s important to know that private shelters receive no government money, and run solely on private funding. The public ones run on too little funding even though much more is needed. In all cases, their Number 1 priority is to eradicate the suffering of all animals. And though My Pursuit of Fred was a personal one, eliminating the pain and anguish of homeless, abused and neglected animals is one of the most admirable pursuits I can think of. That’s why I am running a fundraiser for a local non-profit 501c3 called Cantor Scott’s Animal Rescue Center (ARC). Started from a single bag of cat food with money from his own pocket, Cantor Scott Borsky runs a 24/7 virtual shelter, serving over 90 feral cats in cat colonies every day. Not only does it aid in stemming each cats’ suffering, it also keeps neighborhoods healthy and safe because every one of his cats are neutered and vaccinated. Please help me help Cantor Scott Borsky. Click here to donate, and/or you can join us on Monday, May 23 for a night of fun at Illiano’s in Medford! Chef Gennaro Illiano is doing a Cooking Class for us! We’ll enjoy a 5-course dinner, and all net proceeds benefit the ARC. PS: Question: Have you learned any lessons from your pet? Please comment below! PPS: As many of you know, I’m working out at the Cherry Hill Health and Racquet Club. I am now in a 21-day study called “Effects of Exercise.” The purpose of the study is to help non-exercisers experience and continue a healthy exercise program. Of those who’ve participated in past studies, an average of 80% finished the study and continue to exercise regularly. Some nice benefits are included. Besides your FREE 21-day membership with certified trainers guiding you, there are other nifty perks like a FREE healthy shake from the Club Café. Join me! A new study has just been added and begins on May 9, so there’s still time if you’re interested! Contact Sarah Martin at smartin@chhrc.com or 856.429.1388, ext 135, and tell her Tobi sent you.